When I walked through the City of Shawnee Oklahoma City Hall doors on January 10th, 2000, and sat waiting for then Finance Director Jim Wilsie to welcome me to the City of Shawnee as a new employee, I really didn’t have a clue of what the future really looked like here. I had actually always wanted to work at the City of Shawnee, having spent seven years at the City of Tecumseh, and three at the Citizen Potawatomi Nation building technology solutions and supporting their goals. When I received a phone call from James Roberts about Shawnee exploring a possible “Systems Administrator” position, and what it should pay and how it should look, it peaked my interest. Little did I know I’d spent nearly 19 years here, and at least try to keep us moving along the never ending technology treadmill. We did make progress, deploying working solutions, and continued to improve our operations. We were ahead of some cities, and behind others in our technology ventures. It all depended on time, money, and motivation during that time. Sadly to me we’ve watched the core function of information systems department move from being change and efficiency drivers, to “defenders of the fort” simply trying to keep the bad guy from burning down what we have built. I truly believe that has slowed down progress in our department as much effort has had to be made on building security systems, training users, and deeply monitoring systems to identify and stop any threats. I hope that gets better before it gets worse, but the online world really is a nasty place anymore. 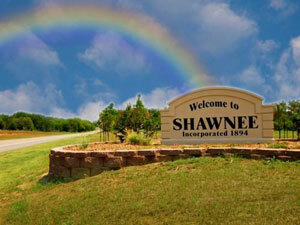 As I walk away from the City of Shawnee I see big changes on the horizon, and that’s a good thing. It’s time to explore new options, solutions, and processes and actually deploy some of the true cost saving solutions that have been “in the list” for way too long. Here’s wishing good luck to everyone that will making the future with the City!